IBM will pay out $5 million by 2020 to winners. IBM has pledged $5 million in prizes to anyone who can make a big breakthrough in artificial intelligence that would help in solving some of the biggest challenges in the world. For a while now IBM has been pushing independent developers to help with building apps using its Watson AI system, and now they are hoping the new competition leads to breakthroughs by 2020, according to a ComputerWorld report. The contests was announced yesterday at a TED conference in Vancouver by the founder of XPrize, Peter Diamandis, who is partner with IBM. They will announce the winners at TED 2020, with the three winning teams splitting the $4.5 million in prize money, and another $500,000 going to fund other projects. Up until then, teams will be going head to head at IBM’s World of Watson conference, with winners advancing further and further into the competition. Judges will be looking for technical validity, as well as the ambitiousness of the project. IBM isn’t holding back: they’ve listed past projects like mapping the human genome and the moon landing, and they want participants to think big. Watson became famous for a series of appearances on Jeopardy in 2011, facing off against human opponents Brad Rutter and Ken Jennings. The computer system was capable of answering questions posed in a natural language. 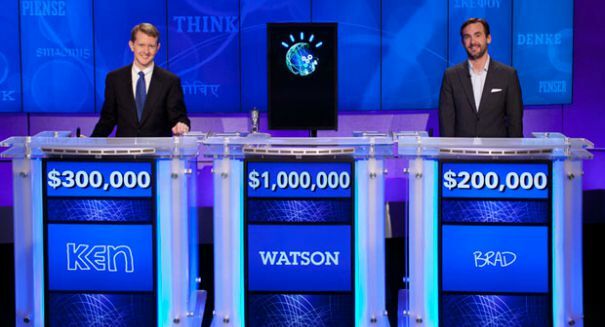 Watson won the first place prize of $1 million. The computer was able to access 200 million pages of both structured and unstructured content. The computer system isn’t just for fun and games: in February 2013, IBM announced that the Watson software system would be used for utilization management decisions in lung cancer treatment at a cancer center, its first commercial application.